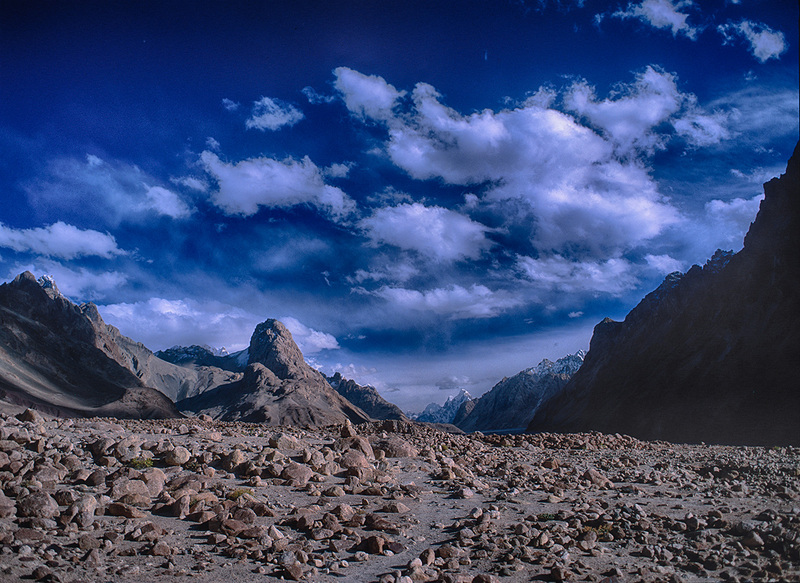 KARAKORAM: The Shaksgam Valley, Xinjiang, China. The Shaksgam Valley, Xinjiang, China. A view up valley towards the Gasherbrum group from the camp our Chinese guides called Qinghongtan, just where the Aghil Nullah enters the valley from the Afghil Pass.